Follow Me Foodie, Sherman’s Food Adventures and Urbanspoon are proud to introduce the Vancouver’s 1st Annual Foodie Feast to be held at District 319. All net proceeds from the event will benefit the Vancouver Food Bank. We will be taking non-perishable and cash donations at the door. We invite you foodies to sample food from 10 stations. Mijune and I have been honoured to hand-pick the 10 restaurants and even help them determine which menu items will be featured. The menu items we’ve selected and tried will showcase the best food for you to experience. All items will be Follow Me Foodie and Sherman’s Food Adventures APPROVED. Among the 10 restaurants represented include Bella Gelateria, El Barrio, Falconetti’s, Hapa Izakaya, La Belle Auberge, Mochikas, One Planet Catering and Red Star Seafood. 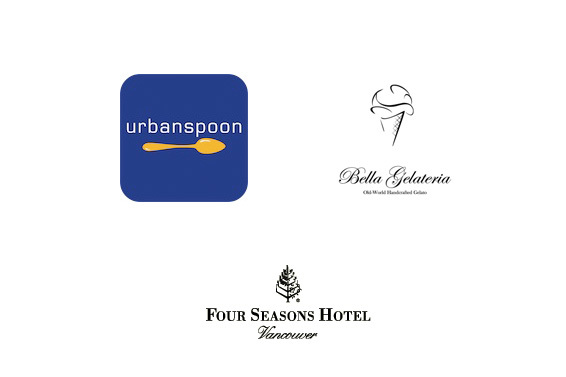 Along with our title sponsors, Bella Gelateria, Four Seasons Vancouver and Urbanspoon, there will be over $2000 worth of prizes to be won. As we finalize the details, there will be further posts updating the complete menu, restaurant selections and other goodies! If you or your company is interested in sponsoring the event for a good cause please contact either myself or Mijune. Tickets are limited to only 250 and are available on Eventbrite: http://vancouverfoodiefeast.eventbrite.com. At only $30 per person and $55 per couple, these will sell out quickly. Ensure your participation in this fabulous event! Hi Sherman, are we expected to dress up formally? I wouldn't say formally. Probably smart casual would be nice. PS Would love to go but will be eating burritos in Mexico. Ole! Very good idea. Sadly I am away on vacations the week of March 29. T&G, look forward to meeting you! SFF, Darina and Antonio, maybe next time!